Would you buy an unlocked (non-carrier) phone? Nowadays, it's become common practice to buy a new smartphone whenever one is renewing their line contract. 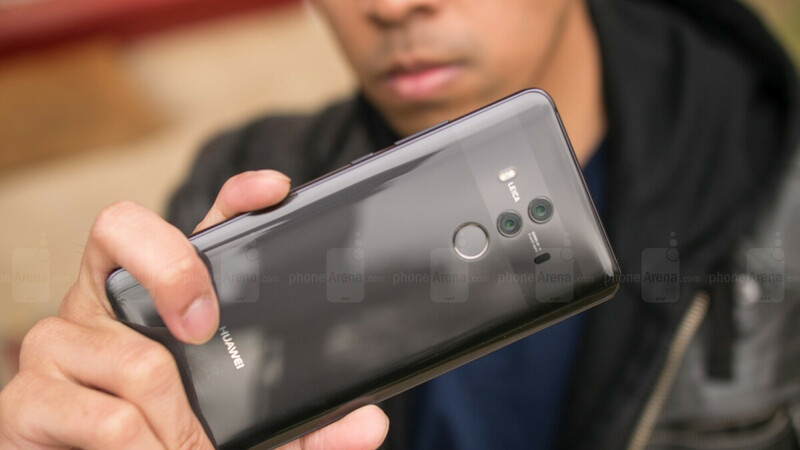 It hurts much less when a flagship's price is split in even payments over 24 months, and you may even get further price cuts, depending on promotions that the carrier might be running. That said, providers definitely don't support a huge roster of smartphones to sell and if you want to stray away from the usual Samsung, LG, Apple, or Moto buy, you may need to go to a separate tech store... and buy an unlocked phone outright. Huawei is a very fresh example of this — the company has just announced that it would be selling the Mate 10 Pro — a pretty cool handset — in the USA. However, since it couldn't land a deal (or, allegedly, the rug was pulled from under it), the phone will not be available through carriers. So, anyone who wishes to grab a brand-new Huawei Mate 10 would have to do so through Best Buy, Amazon, Microsoft, Newegg, or B&H. And they'll have to pay $799 for it, with no carrier-issued discounts or offers to soften that blow. Additionally, since it's a SIM card phone, it'll work only with GSM carriers — AT&T, T-Mobile, Cricket, MetroPCS, Simplemobile, and Tracfone. But we are definitely not implying that the smartphone market outside of carrier-sold units is dead. On the contrary, we are pretty sure plenty of people go to a store or go online and order whatever phone they desire without having to jump through hoops, sign 2-year contracts, or read the fine script. So, we wondered – how many, exactly? Tell us in our poll! Unlocked is generally always easier for me. Carrier concept is a big fail in our country. People usually pay whole amount on the spot & buy unlock phones. I would get the unlocked phones if their prices could be more comparable to carrier's phones during promotions. Also carriers use some special features only work on carrier-branded phones. It's called Bloatware and they should be uninstallable. Some carriers actually have manufactures program features into the phones as well. That, in my opinion, is the only reason to ever buy a carrier phone. Always unlocked since are cheaper in the long run and especially not on day one when prices are to the sky. I did exception with my Note8 since I was waiting for too long time. Locked phones is so strange idea. It is not used in my country and I'm happy about it. A actually only buy carrier-free phones, it's much cheaper in the long run. Carrier phones can be leased, and/or bought with monthly payments and no interest. I have and would buy an unlocked phone, and actually prefer them. It is an added bonus if they support VoLTE and wifi calling ( on t-mobile). But I have also used unlocked phones that did not support these features. Since switching to prepaid, majority of my phone purchases have been unlocked, because even though prepaid carriers are offering flagships, you're still paying full price for it anyway because you do get lower monthly payments. Still, the sticker shock of the flagship phones unlocked is a pretty tough pill to swallow as a prepaid user. I cannot justify spending so much on a phone, which is why I was glad to get a good deal on a refurbished iPhone SE when my Nexus 6 gave away and I wanted to make the switch to iOS. Carriers in Macedonia have funny prices for phones, much higher then unlocked phones in brick stores, so it is stupid to go with carrier. However..many people do. Carrier Branded Phone that gets Loaded with BLOATWARE that Can't be Uninstalled and runs all the time eating up Both Precious Storage Space and Resources. Verses. Unlocked Phone that has a few Programs that you might or might Not want or Need but they are Uninstallable and has More Precious Free Storage Space and Runs both Smoother and Faster because of More Resources. The Clear and Only Choice is; UNLOCKED! This is the reason Why I chose exactly what you stated. If I had been more careful with my first unlocked uncarrier phone it probably would have been still working right now but currently ok with the replacement phone :D.
I only use dual-sim phones so I definitely chose unlocked. Besides that is if you travel you can't use a local sim in locked bloat filled carrier phones. So...... limited choices, mostly unusable outside the home country, bloatware. Definitely unlocked is the way to go. I would go unlocked for an iPhone but not an Android phone because my carrier (Verizon) will not allow me to use certain features. I cannot use visual voicemail and Verizon Messages has problems sending gifs. I was able to overcome the two problems with my unlocked Note 8 by using YouMail for visual voicemail and Android Messages for sending all messages. I hate Android Messages doesn't allow me to send web and app link previews. The only positive I can think of from my experience, is that AT&T only offers wi-fi calling on its branded phones. I have spotty coverage in my home, so I rely on the better wi-fi calling. So I now have an unlocked S8 that doesn't work all that well in my house/home office. What is my solution? I just ordered a sim card from T-mo and will take my unlocked S8 over there and hope I get good coverage inside the house. If not, I have 20 days to cancel. Also, I bought from Samsung directly and got a great trade value on my old S5, and later S7. Unlocked all the way, unless there are features you need that are only available on carrier branded phones. Only unlocked phones for me & my wife. If we went with a carrier phone, T-mobile would have to move us from our grandfathered plan to a new plan. $65/mo for unlimited for 2 lines is too good of a deal. I know we could pay full price for the phone and not worry about our plan being touched. But at that point, you're better off buying the unlocked/bloat free phone for cheaper online. Where i live, if you buy a phone from a carrier, you nearly pay 2x the price of the unlocked phone. I'll go finance an unlocked phone from Verizon. It's easier than paying for it up front, and I like having a physical store to handle warranty issues. 99% of the phones we're discussing are completely compatible with Verizon and Sprint cdma networks. Go take it up with them. I've tried with Verizon and was given a total load of garbage with my Nubia Z7 which was perfectly compatible. A pre-activated Verizon sim will work on most decent unlocked phones. Same is true for Project Fi, pre-activate on a compatible Nexus and slot it into any phone. Works great on my Xiaomi Mi Mix2. I have an unlocked S8 I use on Verizon that I bought from Best Buy. Not only does it feel snappier, I can use it in another country with out needing Verizon's permission. I can pop any sim in it that I want with no worries. Great for emergencies too! Volte works just fine as does WiFi calling. You have to enable them in the "my Verizon" app. Alot of people aren't aware of that. Also, gigibit LTE was turned on by Verizon and as long as you're on their network, that works too! Other than that updates have been more consistent then later years and my phone has been buttery smooth since June. Not a single hiccup or battery degradation issue. I'm sold!!! They don't even offer carrier phones in my country. Every phone you get here is unlocked, even if you buy it through your "service provider". The last locked phones were like 5+ years ago (maybe even 10+ now). I can't even imagine, what you guys are going through. It's sound incredibly inconvinient.